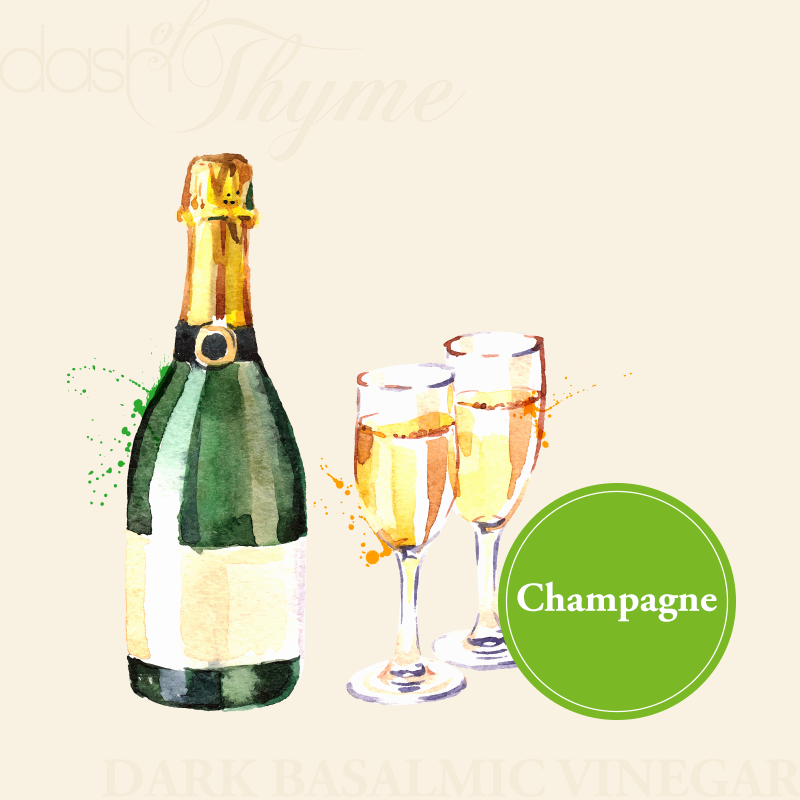 Our champagne dark balsamic vinegar is complex and rich. It owes its depth of flavor to Solera aged dark balsamic vinegar from Modena which is blended with sparkling white French Champagne vinegar. With an acidity of 6%, it adds a delightfully tart kick to many applications such as vinaigrettes, marinades and sauces.